Yes clone commandos please! Delta squad! Special- deal special damage to all enemies and apply buff immunity + Daze on selected target with a 65% chance to apply the same debuffs on a random enemy. I was also thinking of Keeli but couldn't remember his name so I didn't include him, but he should have some synergy with IGD given the way both died in TCW. 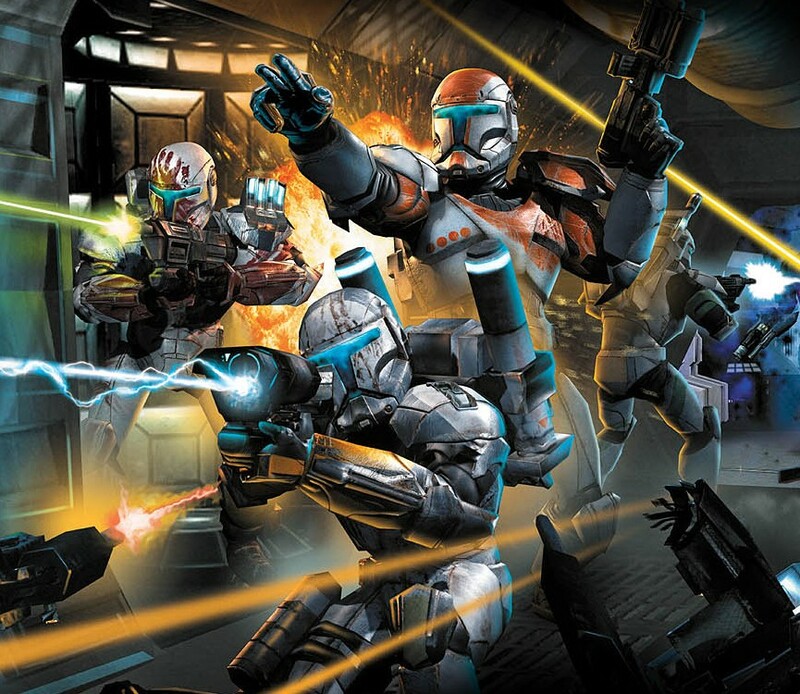 While more clones would be great, I'd rather see them make other factions have a complete squad before they start to add to others again. Ewoks, Geonesians & Tuskens all have 3/4 toons only leaving a gap in squad synergy. Or just add more toons across all factions at once! Support unit with major morale boost. All units attack the unit in front of them dealing 50% less damage. All clones lose 1 cooldown. Thermal Denators are placed randomly on enemies and allies. Upon death, 99 grants all clone allies a random buff for the remainder of their life and dispels all debuffs. If fives is present he gains all of the buffs and the buff Heroic Revenge(next attack will instantly kill an Enemy). For every turn 99 is kept alive successfully, he grants everyone 20% turn meter and 5% max health. Absolutely need Wolffe. Plo Koon had one of the best squads. Edit: By the way, that text reads "Plo's Bros." His clones made the design, they really loved him. I would rather rework the existing ones and the Jedi that are close to them : Plo, JKA, Ahsoka, Mace, Aayla and GK with more synergy. GK is already good so let's forget him for this part. But all the others were generals during CW and none of them have good synergies. Even Plo who can grant TM, this is not what we can call synergy. Plus, I would give Echo a zeta to let him reduce CD of the entire team when assisting. I would change Rex and Fives Leader into a Unique, applying to all allies. Still, changing Cody's first special into : applying Daze on every ennemies critically hit, non avoidable, would be better than a stun. And finally, giving effects on Echo's Special like Shock/Stagger/Expose (one or two of them, avoidable if more than one) and more effective on droids (EMP is technically lethal for droids so...). I'm not a huge fan of more clone Jedi synergy, Jedi need a rework to have more offense & control first before making them better at working with another Tag (not all Jedi, many are kinda blah though). I don't need echo's special to be more effective on droids. I do like the idea of a low % chance of applying a debuff per buff dispelled though. If not Echo than some future character. p.s as i said beforehand i could use a template to base the commando trooper and arc trooper on. Gungangs would be better. Jar jar as leader. Make them 1 or 2 hundred gems so it wouldn't be much of a hassle to buy. COMMANDER CODY: Add helmet (For current skin), Phase 1 and Phase 2 armor. CAPTAIN REX: Add helmet (For current skin), Wounded (Saleucami Deserter story arc), Guerilla (Onderon), Phase 1 armor, Old Rex (Rebels).